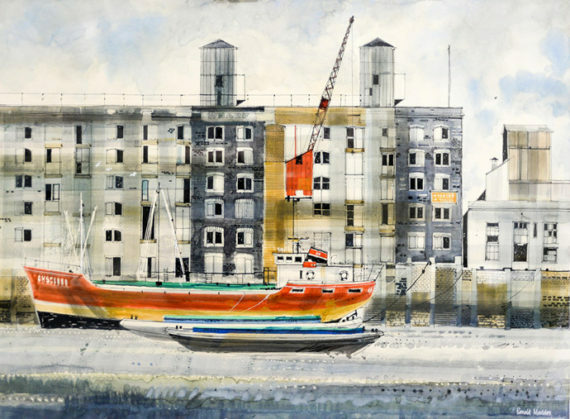 A collection of drawings, paintings and original prints capturing London changing from the 1940s to the 1970s. This is a fascinating period when London emerged from the horrors of war and the privations of austerity to reach the relative prosperity of the 1960s and ‘70s. The capital underwent huge physical change with the repair of bomb damage; large-scale redevelopment; the appearance of modern architecture and the emergence of new lifestyles, not least from new immigrant populations. Artists active throughout this time provided an effective commentary on the changing London scene, and the 60 drawings, paintings and prints exhibited here – from 40 artists – reflect both stylistic developments in art, especially in printmaking, and the extent and impact of post-war change.